Anxiety Disorder Treatment Fairfax VA - What is Anxiety? The word anxiety is so often used in popular culture that sometimes, it’s easy to overlook one’s symptoms. Some forms of mild anxiety are vague, disappearing within minutes, hours or days, while more severe forms of anxiety have the tendency to longer, and can affect one’s daily functions and quality of life. Anxiety is a general title for a group of disorders that cause worry, fear, nervousness, apprehension, and uneasiness. All symptoms affect can affect one’s behavior and can cause visible physical symptoms. It’s reported that 40 million people in the United States are affected by one or more types of anxiety disorders, making it the country’s most common group of mental illnesses. As mentioned, there are various types of anxiety. An individual can experience what’s considered a normal feeling of angst, but there are anxiety disorders that require medical and/or psychiatric attention and intervention. GAD is characterized by excessive worry about any number of things, including money, health, family, relationships, or work. Those with GAD report that they find it difficult or nearly impossible to manage their thoughts, worrying more than the average person about seemingly normal events or circumstances. Furthermore, some people with GAD may not always be able to pinpoint the source of cause of their anxiety. If you have been worrying more days than not over at least a six month period, you may be diagnosed with GAD. These are terrifying, sudden attacks of terror that usually occur without warning, escalating and peaking within the span of approximately 10 minutes (although in some cases, could last for hours). Symptoms include shaking, dizziness, nausea, difficulty breathing and confusion. Often, panic attacks occur after prolonged stress or a particularly frightening event, but some have experienced panic attacks without a trigger or reason. OCD is characterized by repetitive and distressing thoughts that can also be described as intrusive and unpleasant. Those with OCD may turn lights on and off frequently, check the stove repeatedly to ensure it has been turned off, obsessively wash their hands, or check locks multiple times an evening. Those with OCD are often aware of their irrational behavior, but participating in the behavior is the only thing they know to alleviate their anxiety. We’ve heard this of pets, but humans experience this too. Separation anxiety occurs when an individual is separated from a person or place that represents safety, and can trigger debilitating panic attacks and severe, inappropriate reaction. Extreme fear of an object or situation is what constitutes a phobia. The individual suffering the phobia likely realizes their fear is irrational and unnecessary, but are unable to control their reaction to the object or circumstance. Phobias vary greatly – there are phobias of snakes, heights, balloons, spiders, or even going to the grocery store. Social anxiety disorder is described as the fear of being negatively judged by others in a social setting. It is a fear of public humiliation or embarrassment. Stage fright and fear of intimacy are examples of this type of anxiety disorder; they can cause individuals to avoid public places, human contact or situations where they are bound to be in the presence of one or more other people. Everyday living can be very stressful for the person dealing with social anxiety disorder. Anxiety can be caused by a number of things, including stress from personal relationships, finances, a traumatic event, one’s career, school, or genetics. It can even be a side effect of medication, or arise as a symptom of another medical condition. 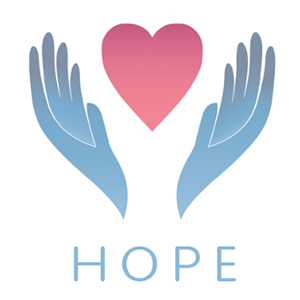 There is hope, and various treatments available. Treatment for a person with anxiety will depend on a number of factors – what kind of anxiety the individual has, for instance. To help a person find recovery from anxiety, the mental health professional may seek out a combination of therapy and medication, depending on the severity of the case. If the individual is dependent on external factors, such as drugs or alcohol, or suffers from depression or other such conditions, it may be imperative that those illnesses are treated first and brought under control before the anxiety itself can be remedied. The gold standard for anxiety treatment is often counseling, which will likely include cognitive behavioral therapy, which is designed to change one’s thought patterns that have led to the anxiety and distorted feelings. It is very common for the therapist to also prescribe stress management techniques and exercise, as well as meditation and relaxation, for long-term success. In cases that require more than talk therapy, medication may be prescribed. Anti-depressants have typically been used to treat anxiety, as well as a monoamine oxidase inhibitors (MAOIs), bet-blockers and buspirone. There is no way to prevent anxiety disorders, but there is a way to mitigate the symptoms. Maintain a healthy diet, keep a regular sleep pattern, do not partake in recreational drugs or alcohol, and avoid foods that may trigger anxiety, like caffeine or cola. If you or a loved one is suffering with anxiety, know that there is help. Contact us today for your free intake consultation.